Short Business Description: Founded in 1994, IDeACOM NETWORKS currently provides Unified Communications and Cloud Services to over 2,000 clients throughout the United States. IDeACOM Networks is a Top Tier Certified Gold ShoreTel Partner and one of the top ShoreTel Partners in the world. Founded in 1994, IDeACOM NETWORKS currently provides Unified Communications and Cloud Services to over 2,000 clients throughout the United States. 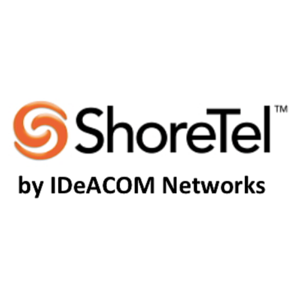 IDeACOM Networks is a Top Tier Certified Gold ShoreTel Partner and one of the top ShoreTel Partners in the world. 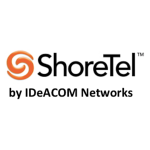 IDeACOM NETWORKS is the Flagship ShoreTel Partner with main offices in Nashville, Tennessee. We promote, sell, install and support the ShoreTel Enterprise Unified Communications System. Our expertise and experience allows our clients to focus on their core business while we eliminate technology worries. IDeACOM NETWORKS ShoreTel Clients range from BMI (Broadcast Music Inc.), to Tennessee State Supreme Court, to City of Clarksville, to Trevecca Nazarene University to MDHA (Metro Development Housing Agency). All of which are multi-location enterprise organizations enjoying the advantages of ShoreTel the Unified Communications platform with the lowest total cost of ownership and the highest customer satisfaction in the industry. IDeACOM NETWORKS provides the highest quality on-site and remote support services available in the industry. Our engineers bring over 200 years of combined information technology and telephony experience, and the company maintains this edge by working closely with our technology partner ShoreTel and by ongoing continuous training. ACE Machine and Metal Fabrication Co., Inc.
Nashville Association of Sales Professionals is a networking group dedicated to training our members to achieve higher sales and better relationships.